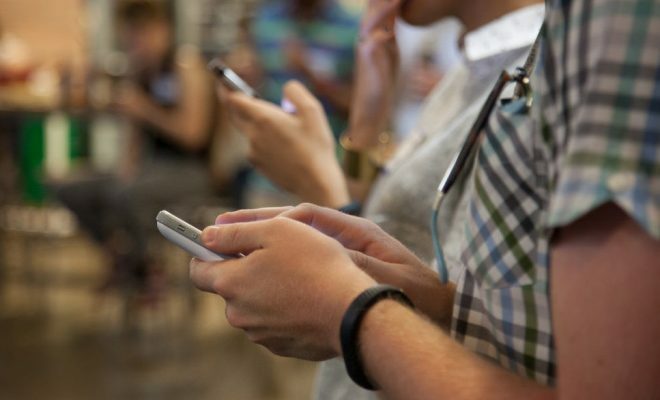 Technology is increasingly becoming a fundamental part of our lives. Its adoption to the various functionalities of a person’s life from childhood with playing toys to adulthood has made life easier and complex at the same time. Its implementation is being advocated for yet its effects seem to grow with each passing day. However, it is important to understand that its use is diverse and the benefits associated outweigh the limitations and effects. As a fact, technology utilization in a classroom is now being used in schools for different learning activities. Today, many teachers have taken to issuing exam papers, results, reading materials and other evaluation or learning equipment online. These are just some of the ways that technology revolutionize education. Without the proper technological knowledge, some of the tasks expected of a teacher or student can be difficult to achieve. Therefore, technology is perceived as annoying, irritating and to some extent intimidating. Well, here are seven ways that you can use to implement or use technology in your classroom. The social media is a major aspect of children in this era. Teachers can use this media or platform to their advantage by becoming friends and sharing essential information through the technological platform. Students, parents and their teachers can sign up for online conferencing and hold meetings, give parents their children’s school progress, share learning materials etc. Teachers, for example, can share unique students write ups with the rest of the class and or solicit their opinion in regards to a topic or subject to be or already covered. For example, through Twitter’s backchannel, teachers can obtain students feedback, share ideas or learning materials. Furthermore, the student’s attention will be with you as all of them are quite fond of the social media. Advanced level students can use these for learning purposes. This includes posting assessments and evaluations and other important such as best write-ups that students have in a certain period. The blogs can also be a strategic learning as well as a support initiative where students are encouraged to be themselves. They can post their hand works online for others to see, evaluate and rate or criticise for better growth. The teacher can also publish the best works by the students on the same platform. This further encourages them and also sharing the information in class is a major way of promoting and showing appreciation to the students. These are quite essential especially in sharing important and pertinent information with class, parents and other stakeholders. Teachers can create school calendars, an app containing different school materials to assist the students in reading on their own. In addition, the students can use many forums in these apps for their own benefit and learning purposes. 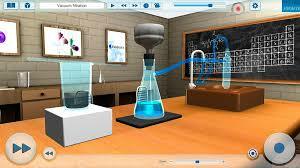 For example, an educative and fun app for games is a nice way for the students to be engaged in a class. This is in relation to games that are related to different games that are developed from a topic on the school books or class subjects. Pictures, images or videos are quite fundamental in forming opinions and learning. It is said that information tends to be imprinted into a person’s mind and are easier to remember for everyone. Furthermore, they capture and entertain the students, which make learning fun. This is an example that is being set by YouTube and other video streaming facilities. With a step by step instruction manual with pictures to illustrate it further, it becomes the most effective means of teaching and for students, the easiest means to grasp and understand what is being taught. In addition, these videos are already there on any subject and therefore, finding one that rhymes with your topic is not that difficult. This is on an increasing trend especially in use inside the classrooms. It is evident that many students use them for other purposes other than learning. Therefore, introducing class assignments to be shared and distributed through the mobile devices e.g. WhatsApp. You can create students groups and assign them various tasks that they will be required to full fill using their internet or mobile connection. This ensures they pay attention to their learning and education and creates cohesion among the students assigned a specific task. Also encourage them to let others acquire reading materials by sharing them with others. This is one of the best means of teaching for both students and teachers. For students, it means that their favourite teacher will be present even though he/she is in a different geographical location. Video conferencing offers a platform for interactions between students and their teacher. It can be used to issue the student’s instructions on their daily tasks, offer presentations and much more. Technology is a useful tool in the development and growth of schools and other educational institutions. Its utilisation for schooling and classroom purposes is an added advantage to the society and specifically to the children. Margaux Diaz is a technology and gadget geek. She is an inspirational writer and has written numerous Articles on technology, gadgets, mobile phones, and many more stuff related to upcoming technology. Her main motive is to help and support people around the world and give them information regarding new latest technology.